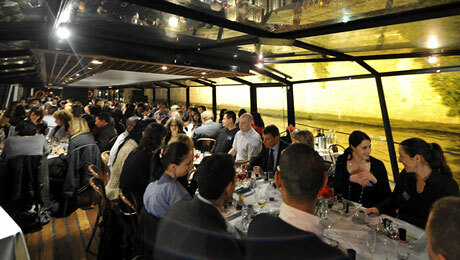 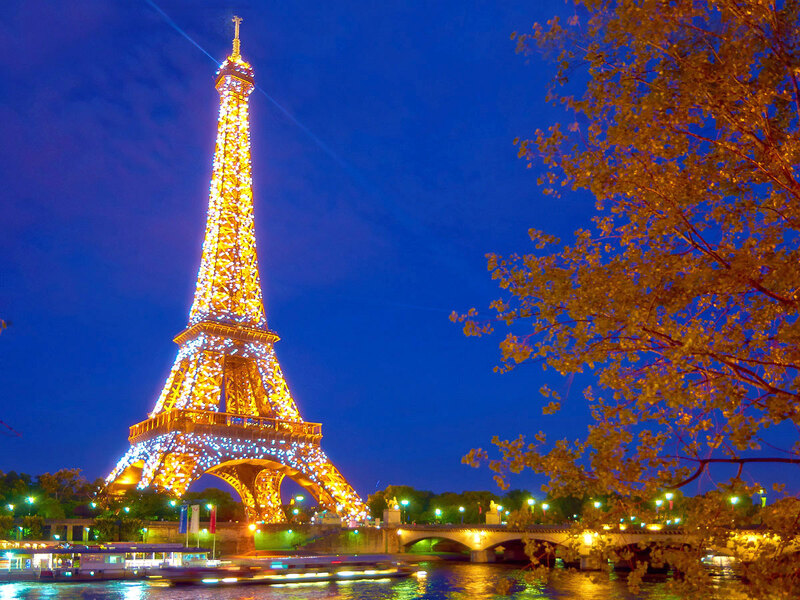 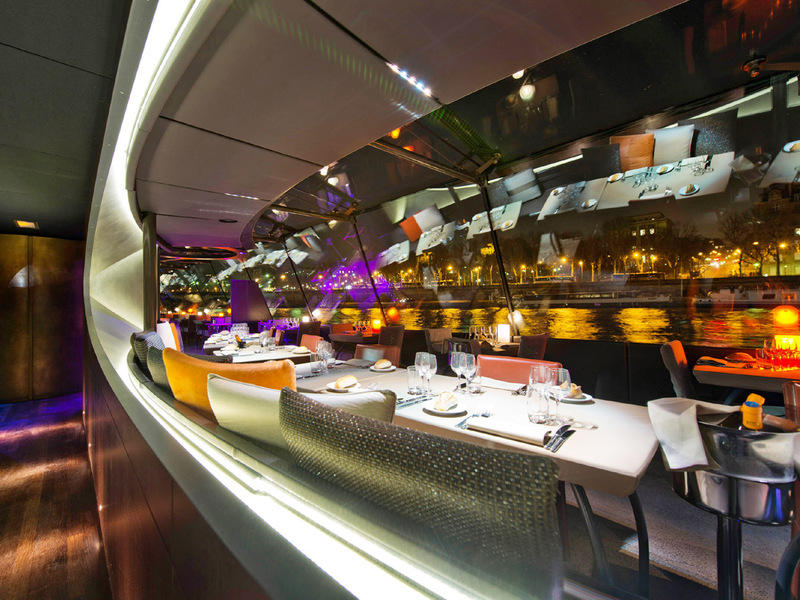 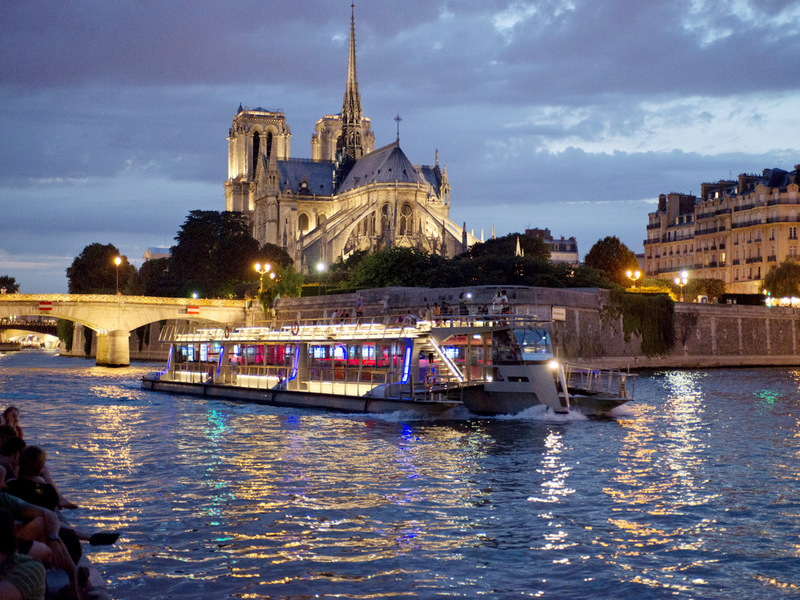 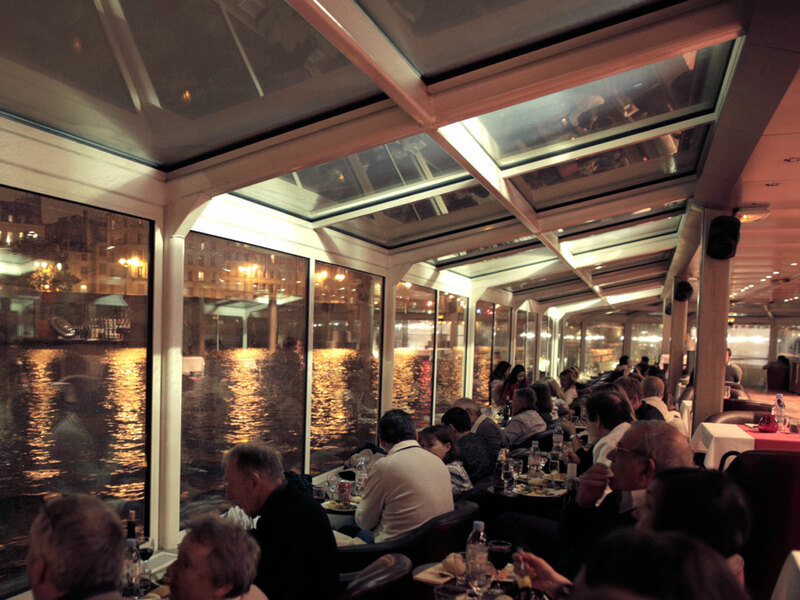 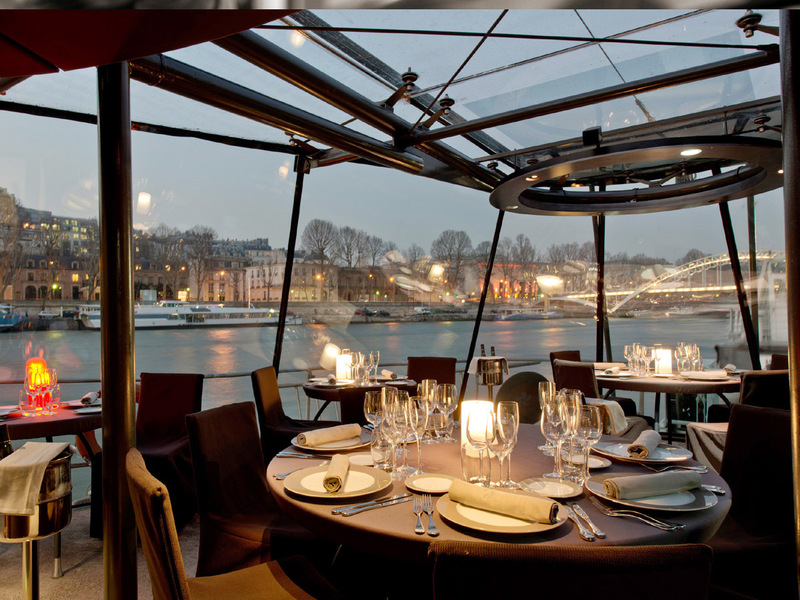 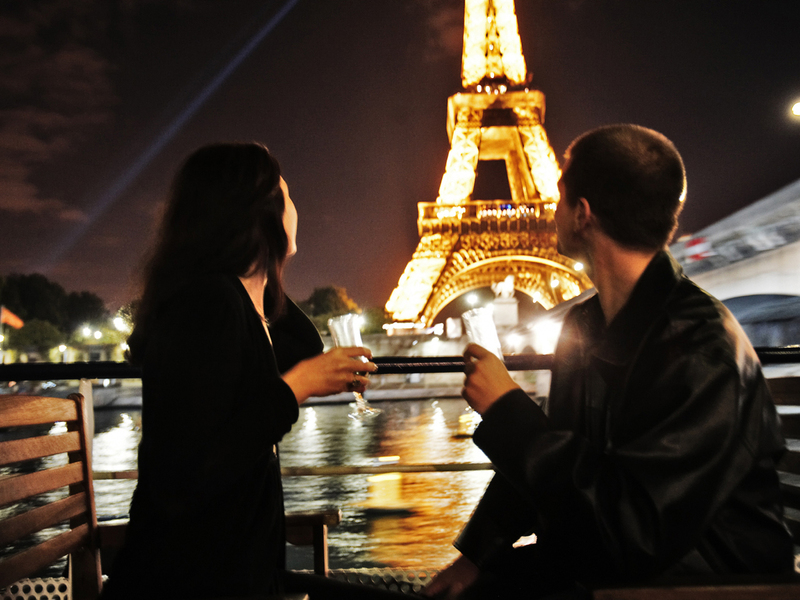 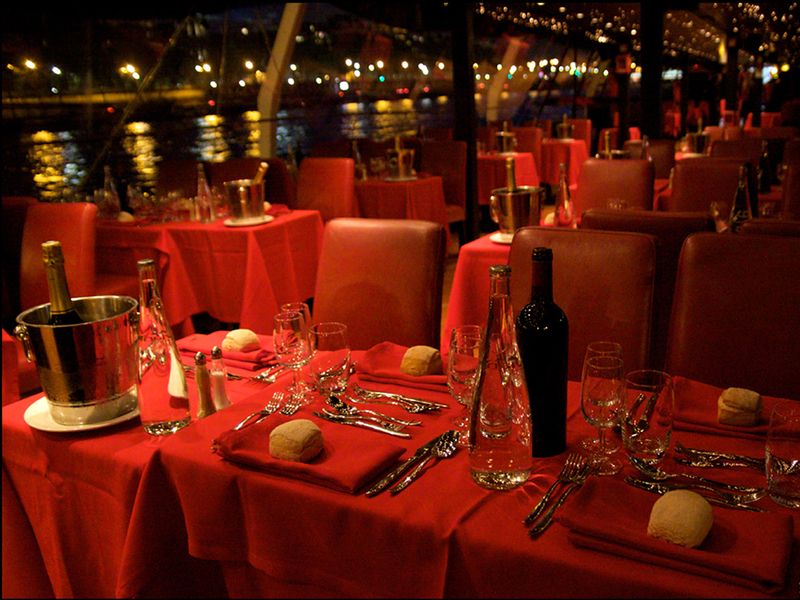 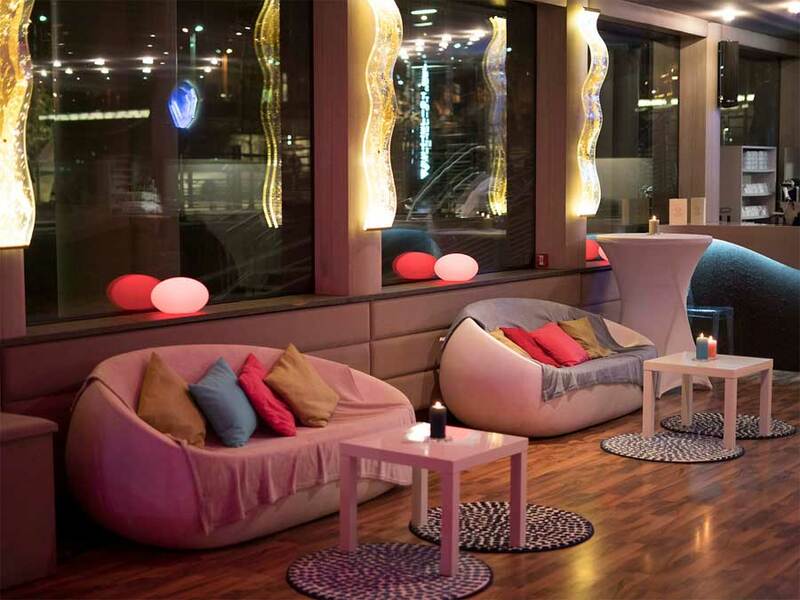 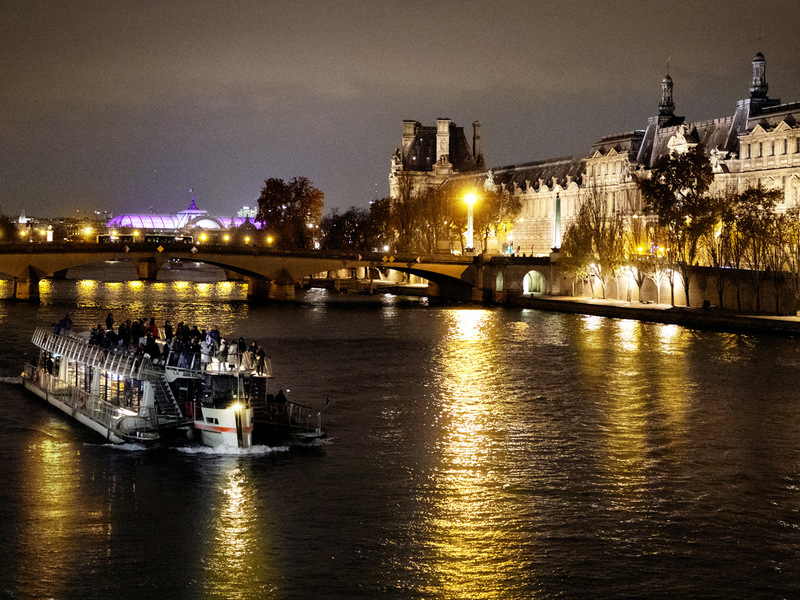 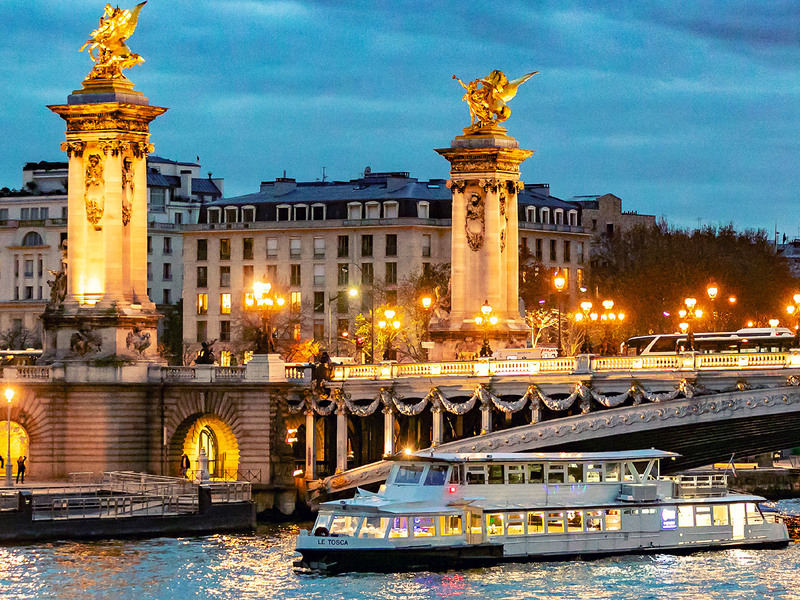 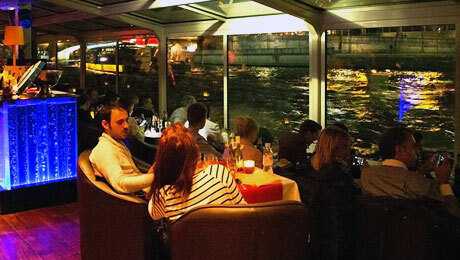 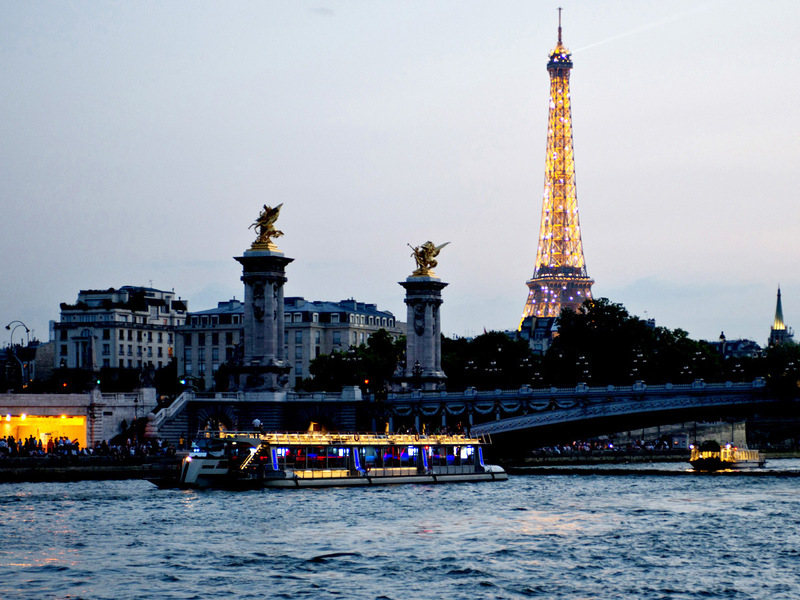 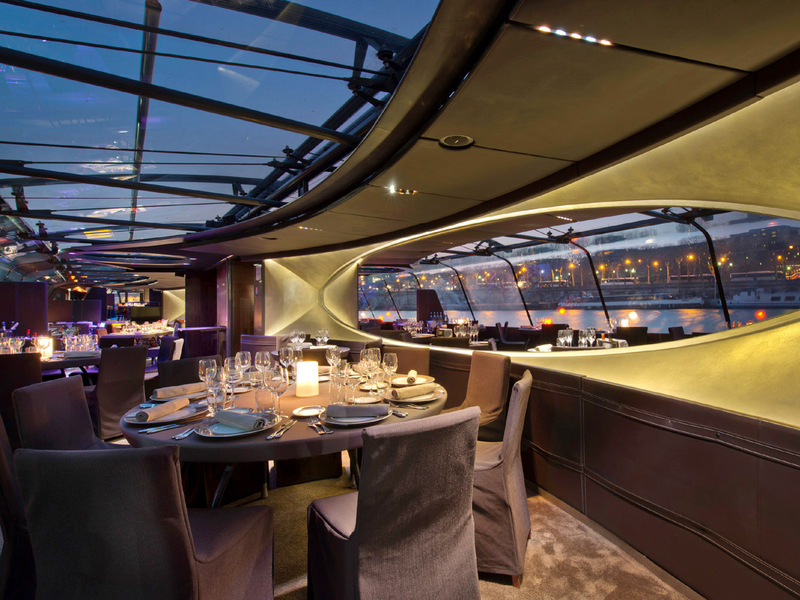 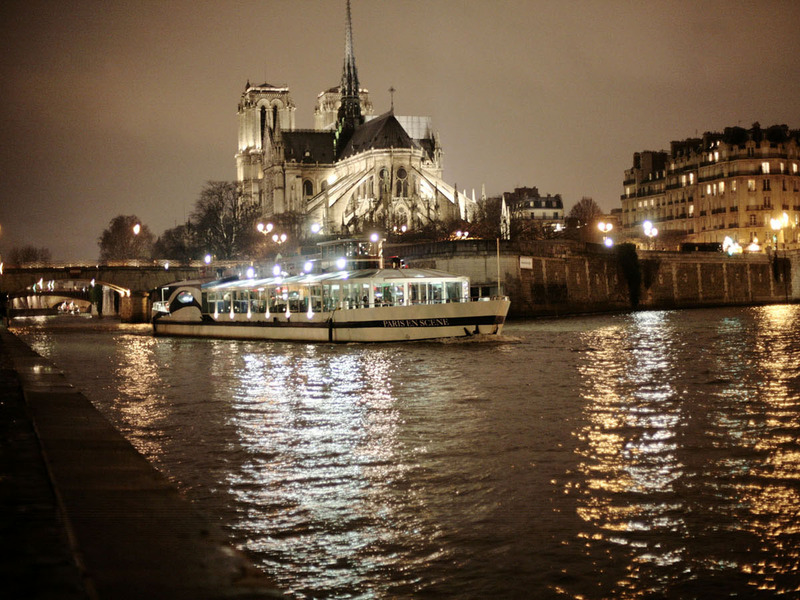 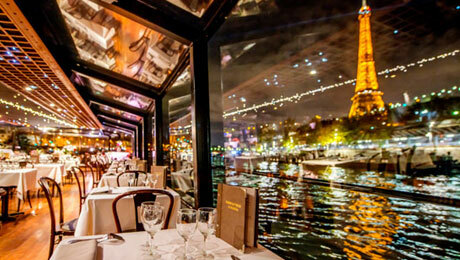 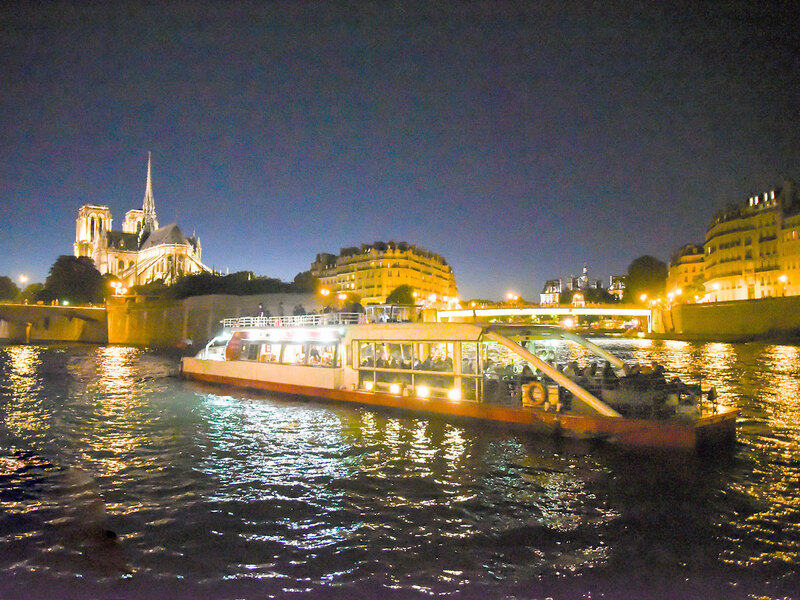 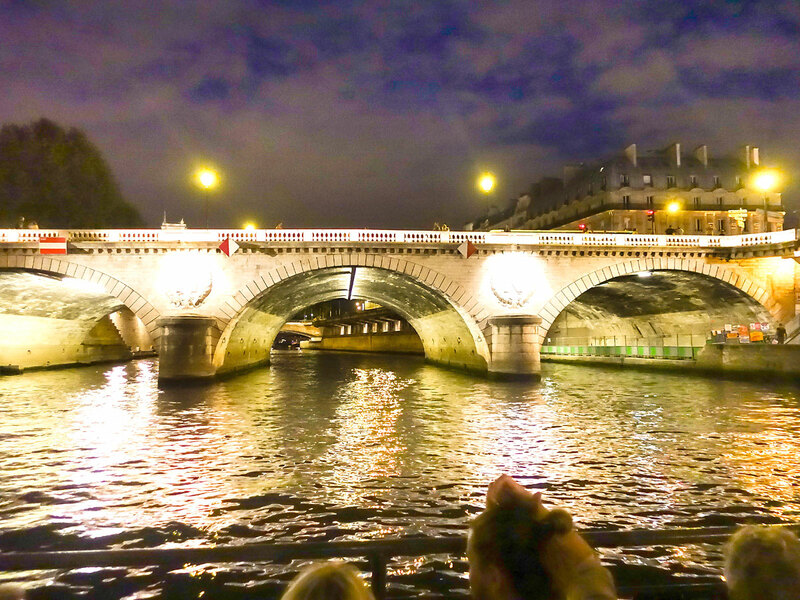 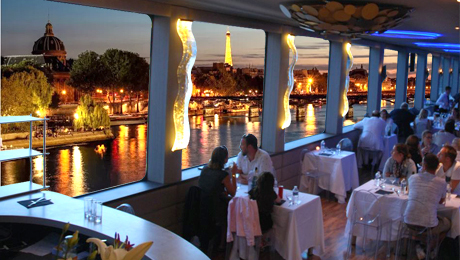 " Dinner cruises by the Seine, the 'must' of Paris by night... at best prices ! " 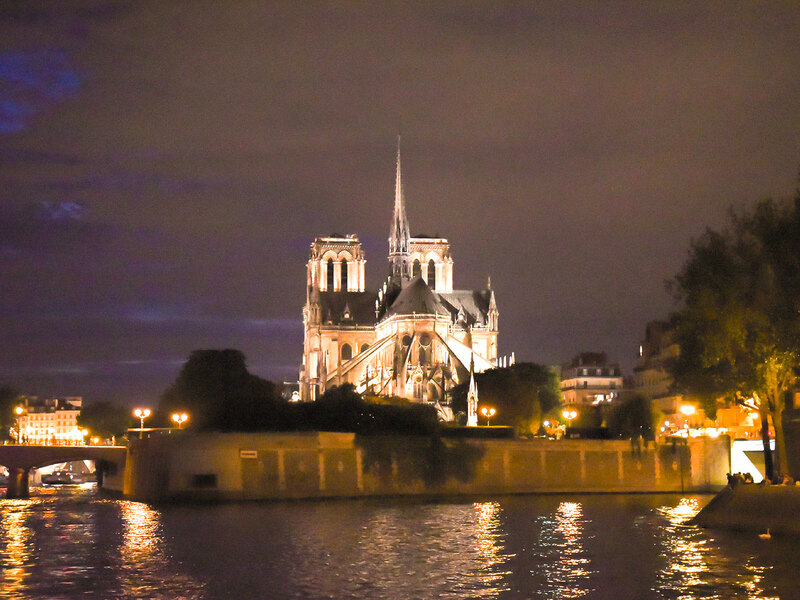 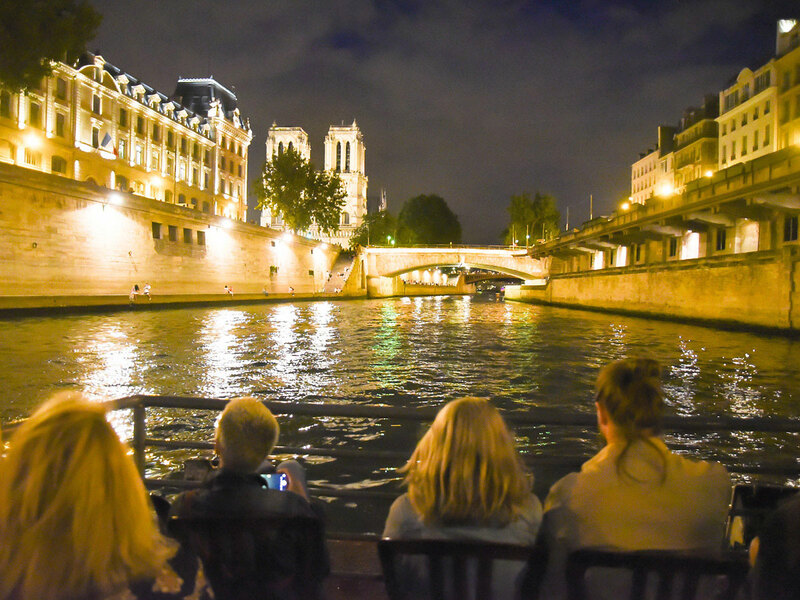 A romantic dinner cruise in Paris aboard a boat that glides along the Seine and you discover through huge skylights most beautiful monuments of Paris. 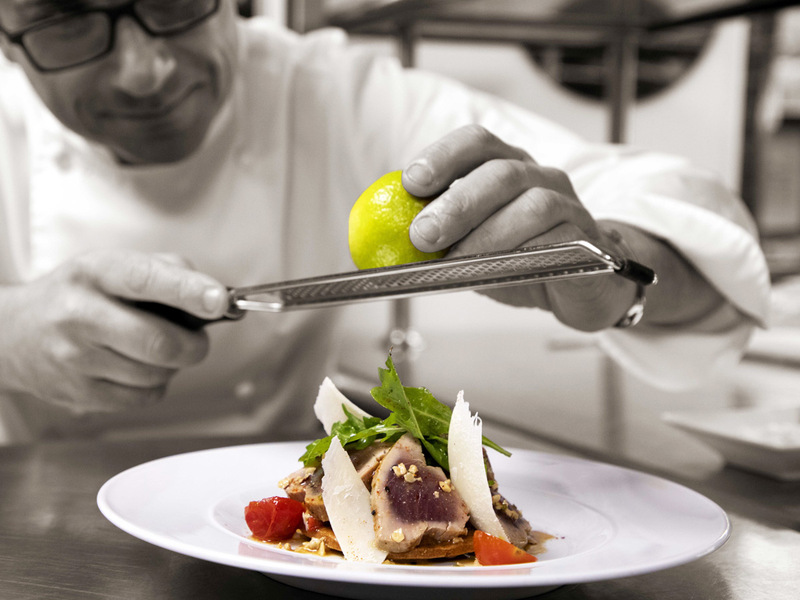 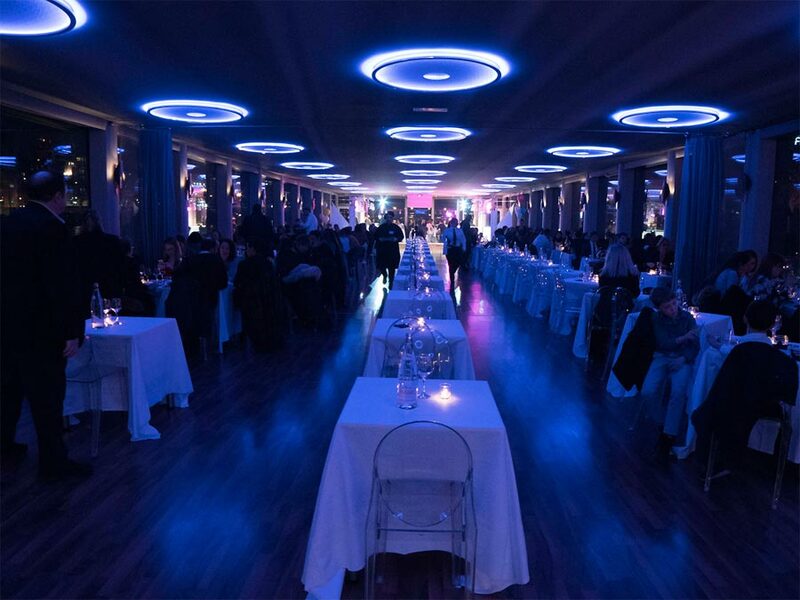 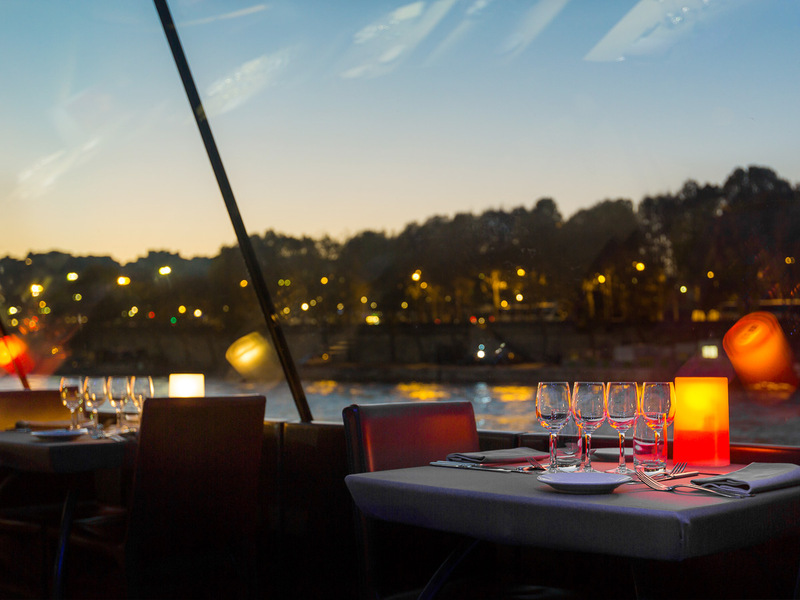 You enjoy tasty cuisine in a refined during your dinner cruise during that around you will succeed the Eiffel Tower, Pont Alexandre III, the Louvre, Notre Dame and many other wonders yet that illuminate to the rhythm of the dark. 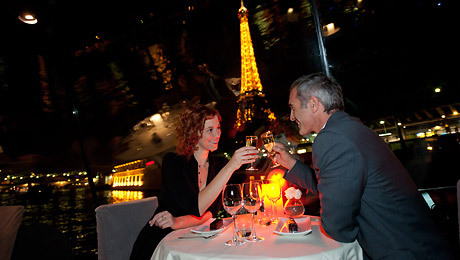 An exceptional moment you plunge in the heart of the history of Paris and you leave enchanting memories of the capital. 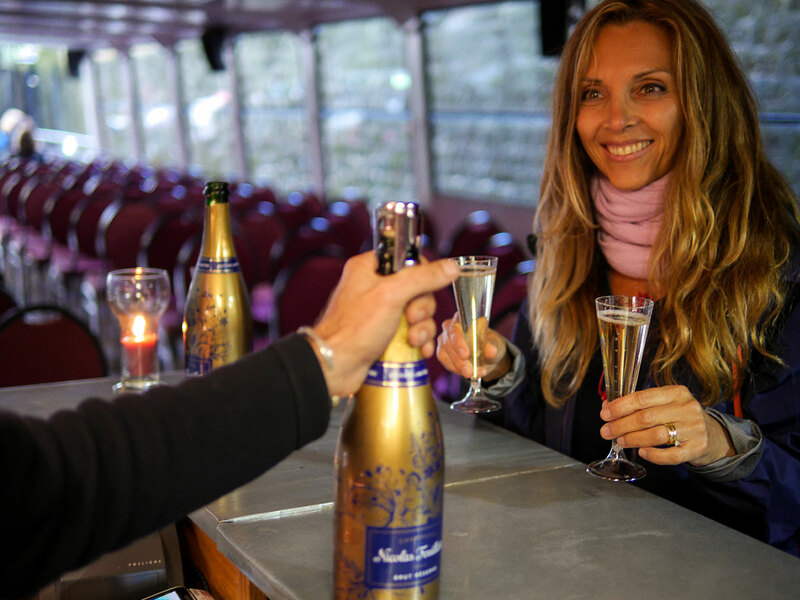 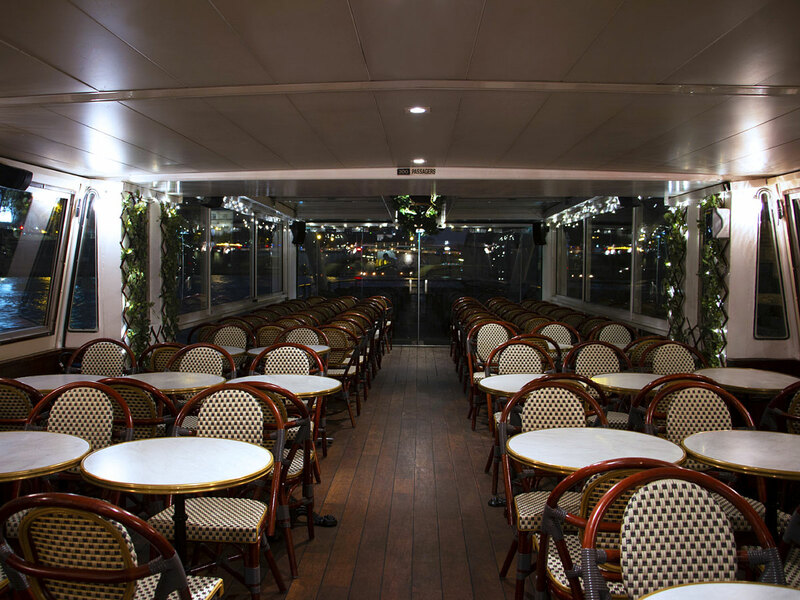 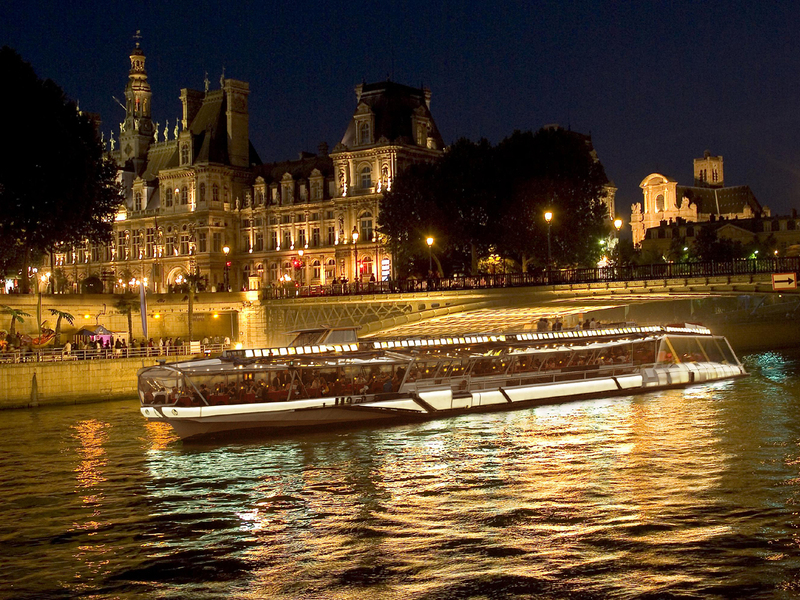 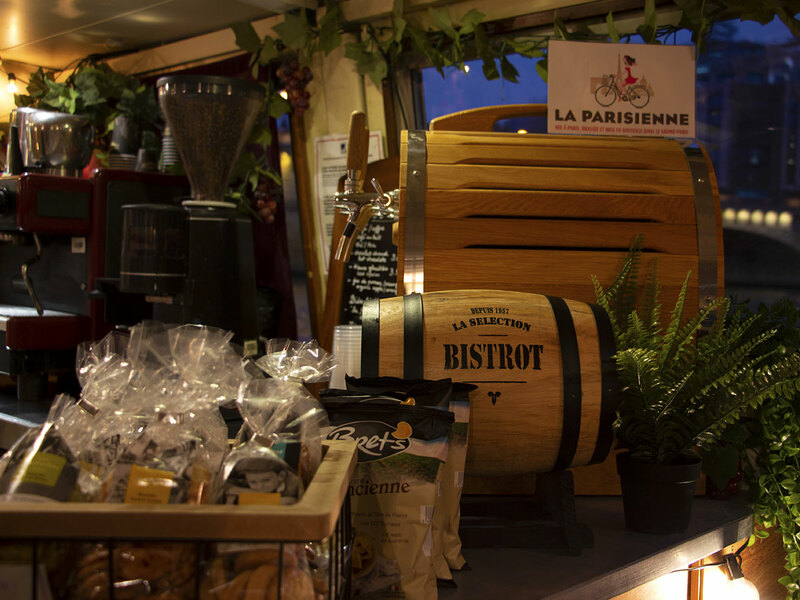 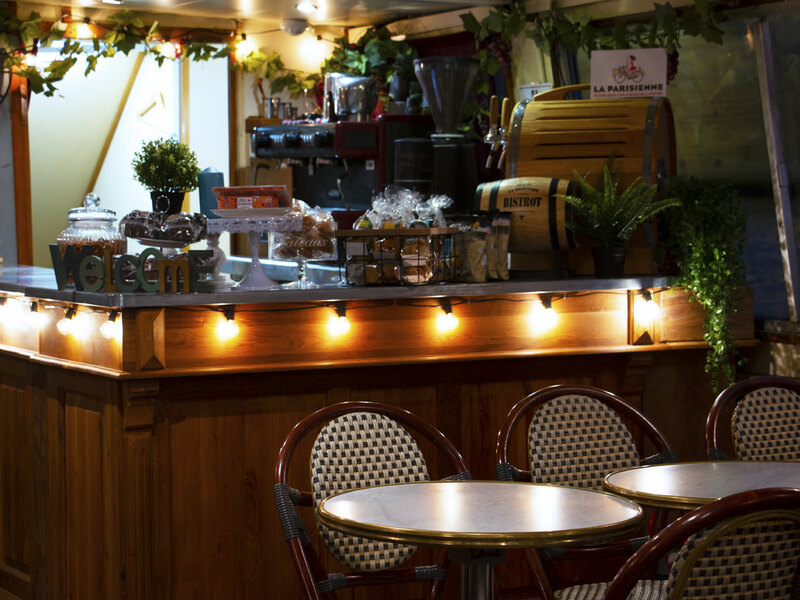 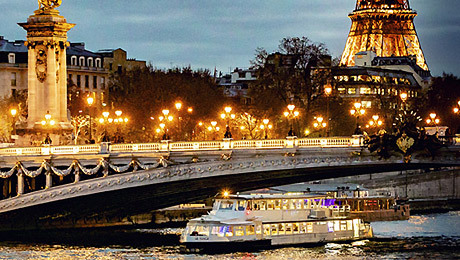 Night cruise "La parisienne gourmande" - GOOD DEAL BEST PRICE ! 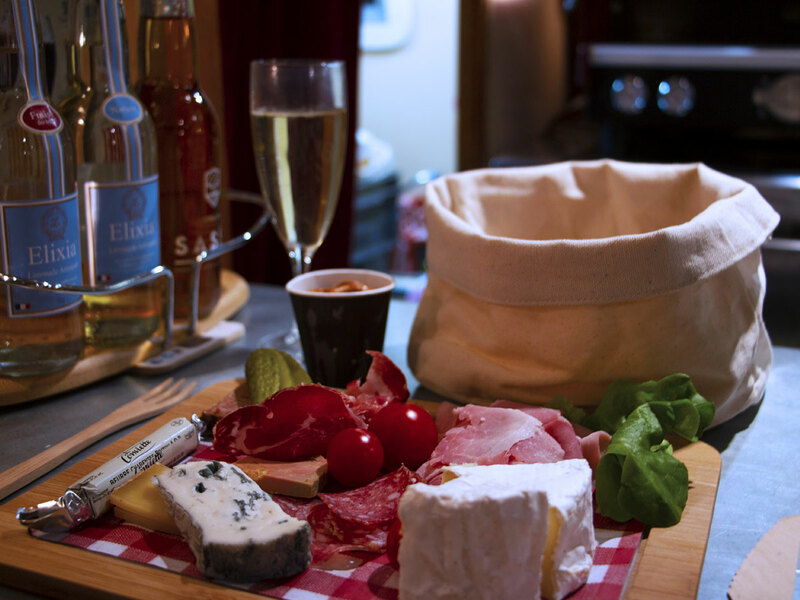 Included a board of french cold cuts and cheeses + 1 glass of wine ! 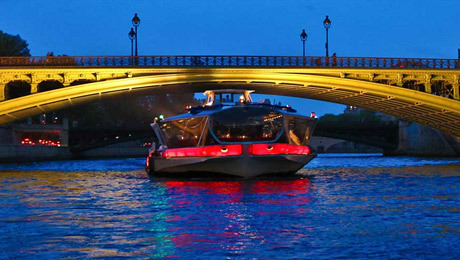 Departure : 6:05 p.m. / 8:00 p.m. / 10:15 p.m.
A France Tourisme Exclusive offer at best price ! 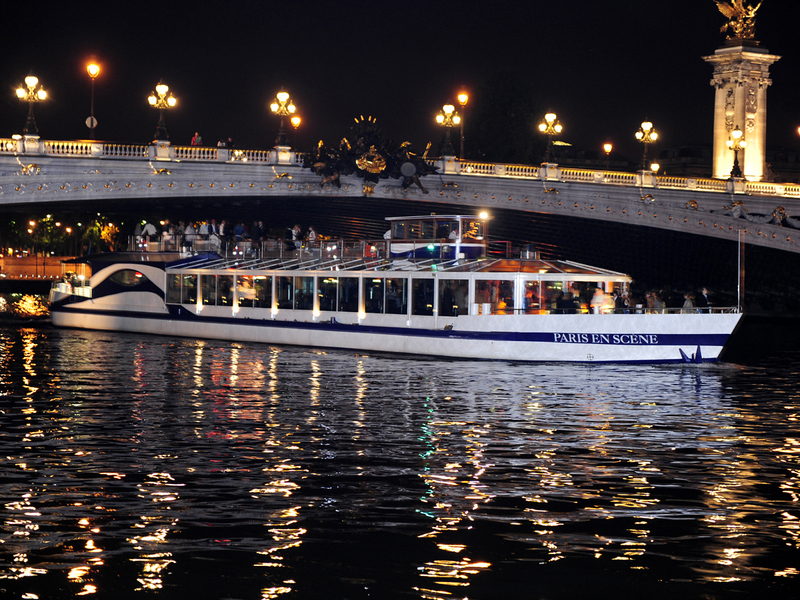 Check-in directly at boarding at 9:00 p.m. Departure of the cruise : 9:15 p.m. / return at 11:15 p.m. 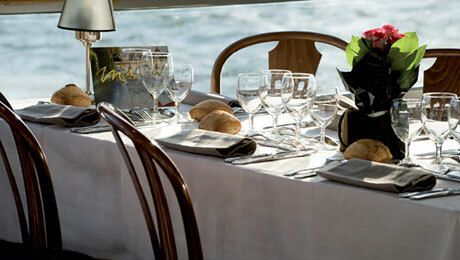 EXCLUSIVITY FRANCE TOURISME : Tables near the windows guaranteed! 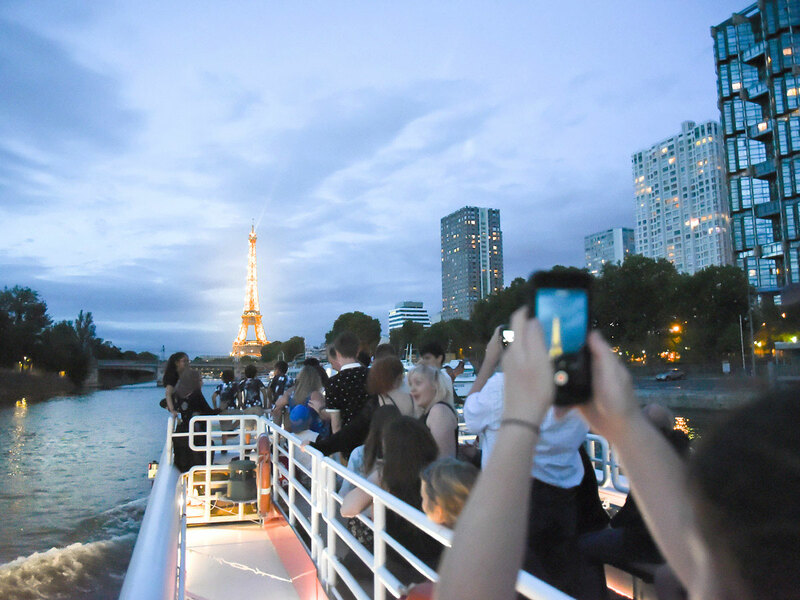 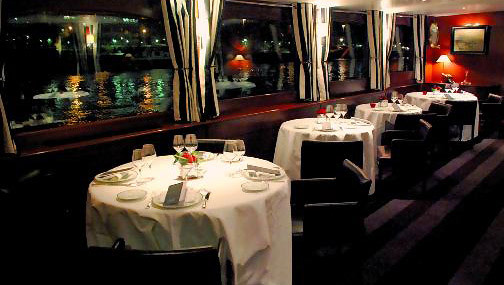 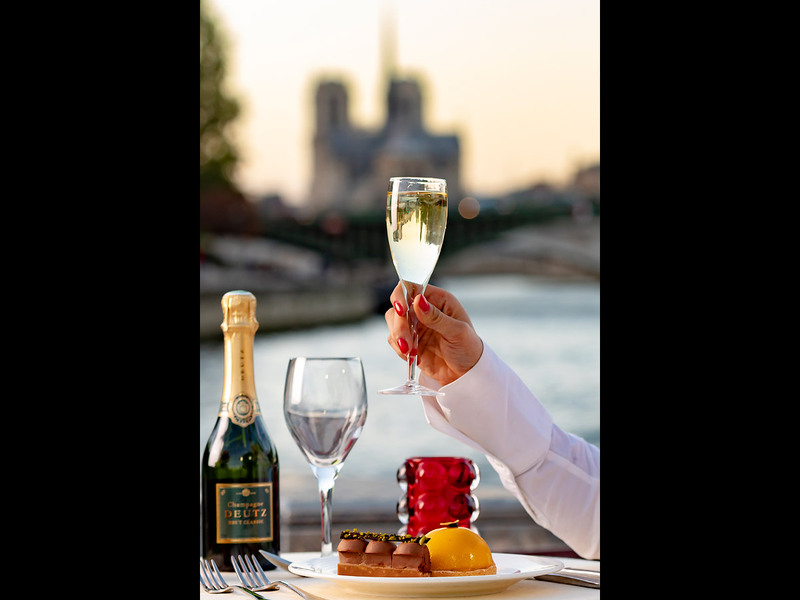 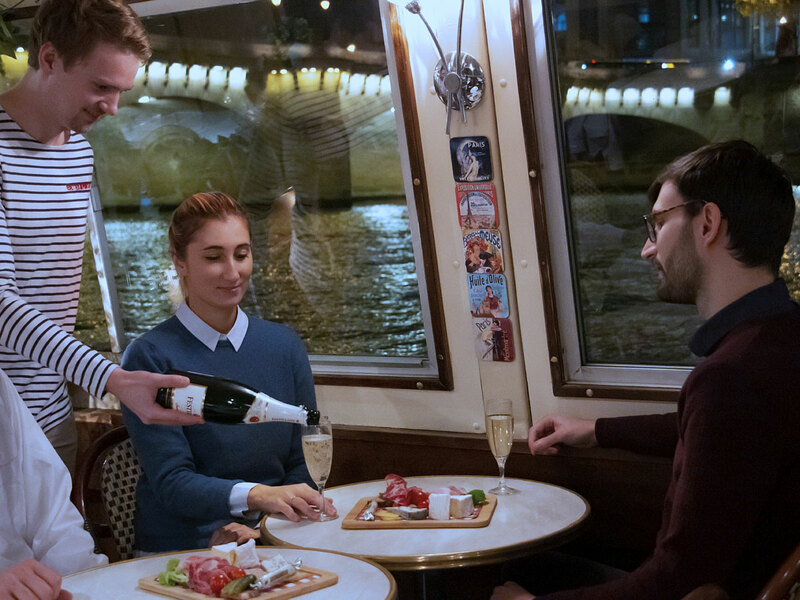 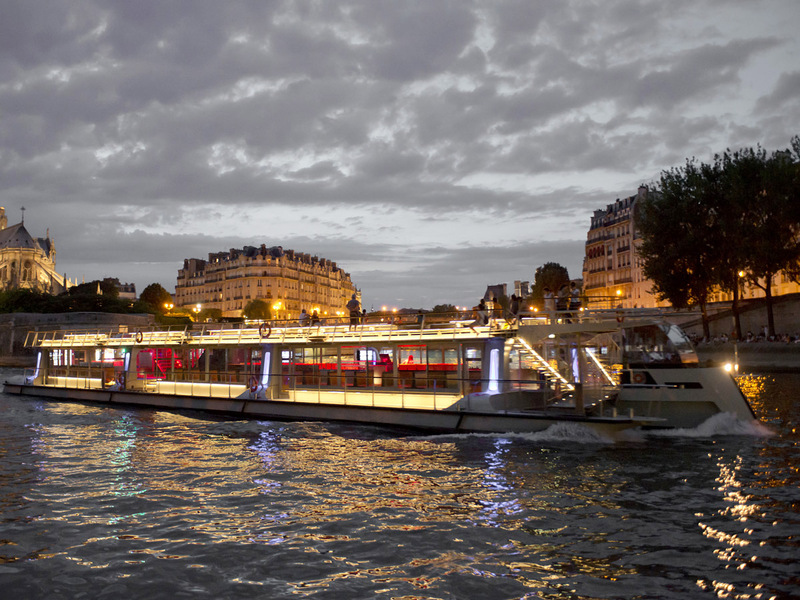 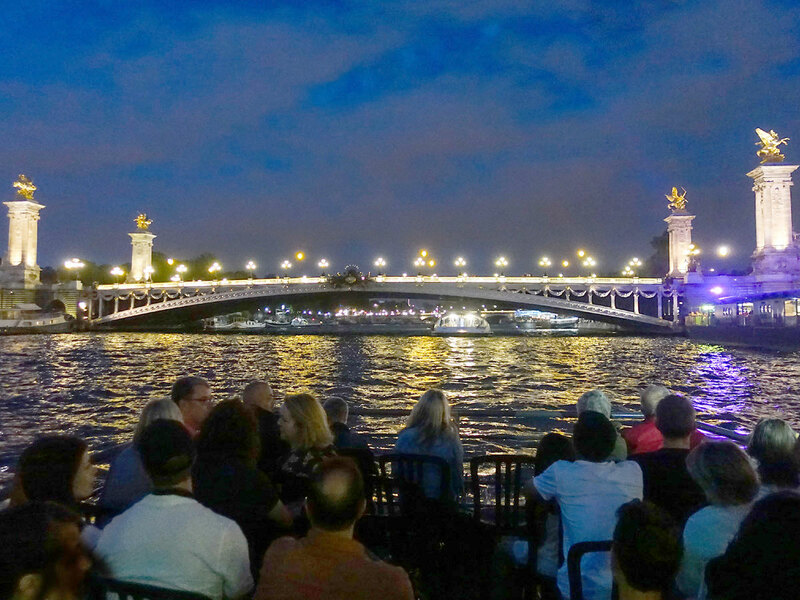 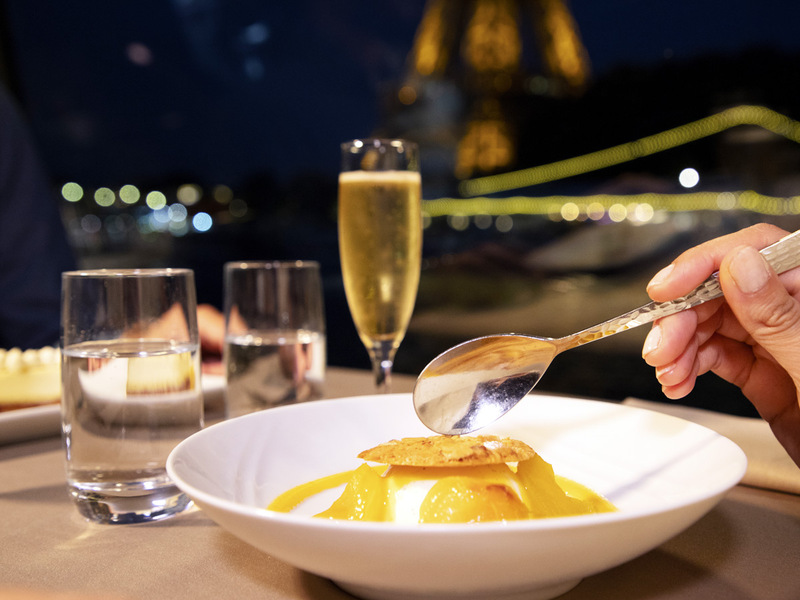 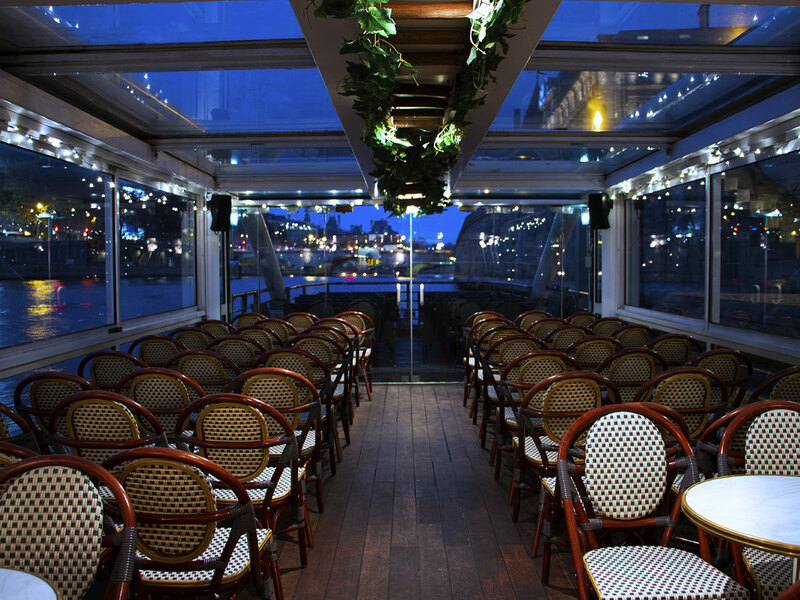 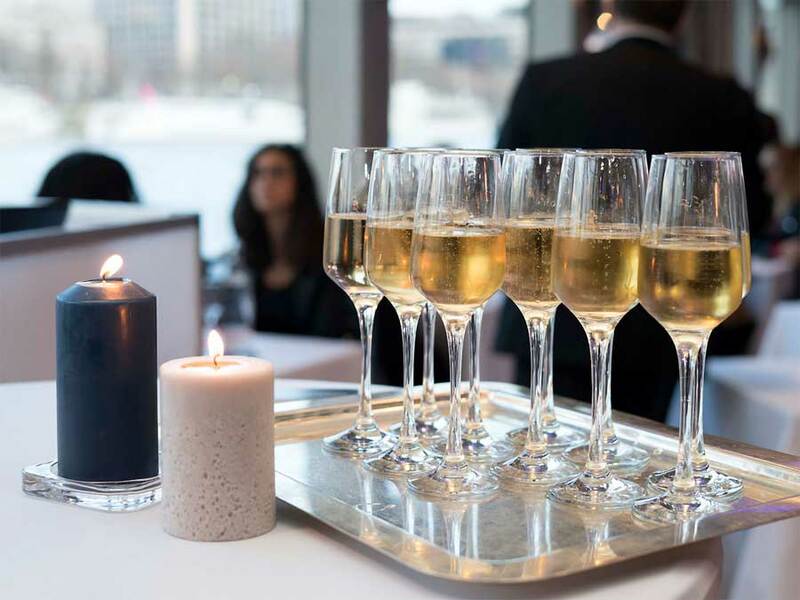 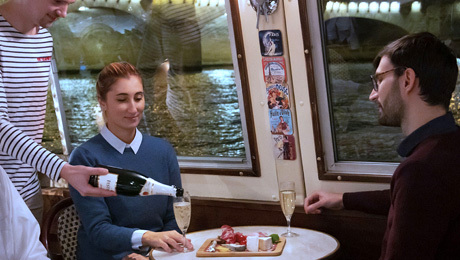 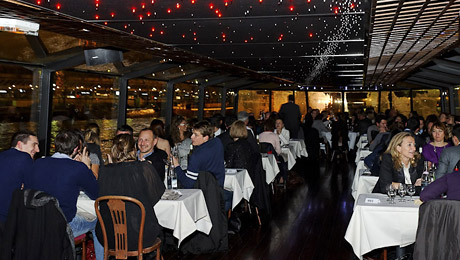 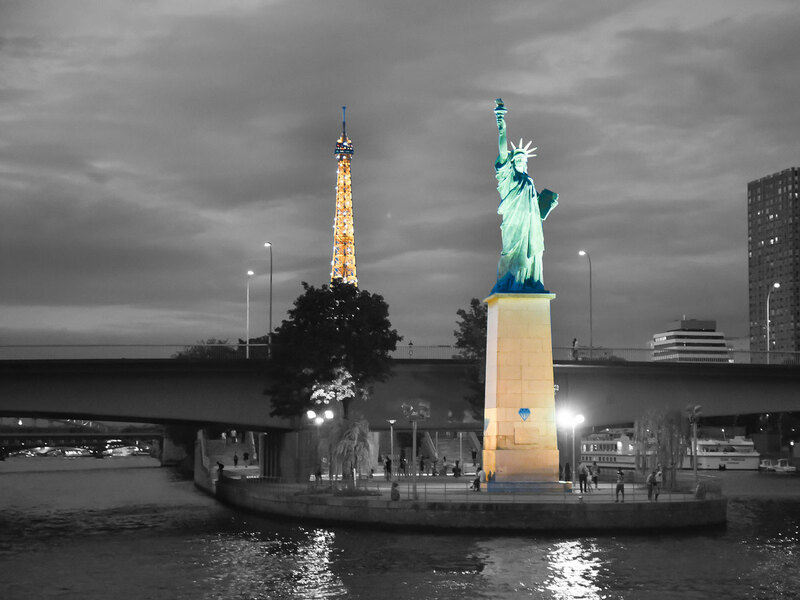 Bateaux Mouches dinner cruise "PARIS 18 HEURES"
Departure every day, at 8.30 p.m.
Dinner Cruise Bateaux Mouches "Excellence"
Departure every day, at 8.20 p.m.
Departure every day, at 8.15 p.m.
Boarding facing the Eiffel Tower in our new Eiffel Cruise Dinner for a 2h00 full circuit on the Seine. 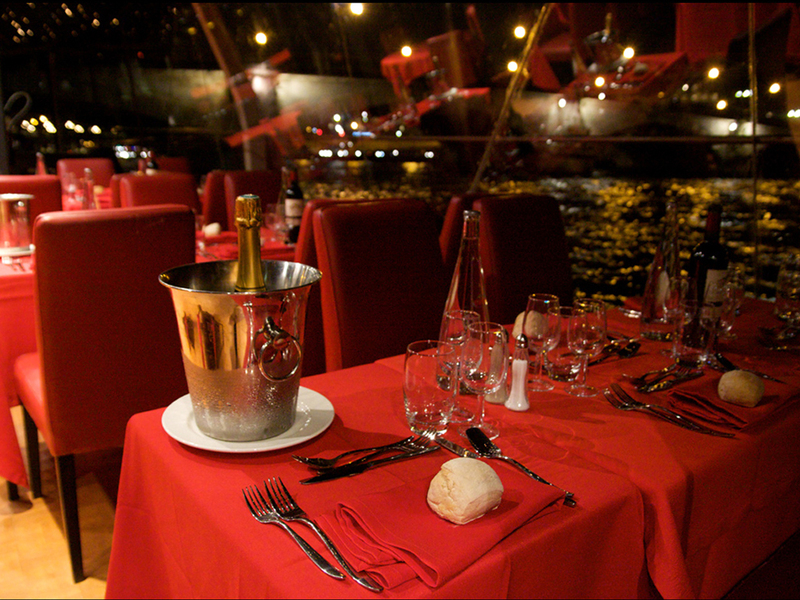 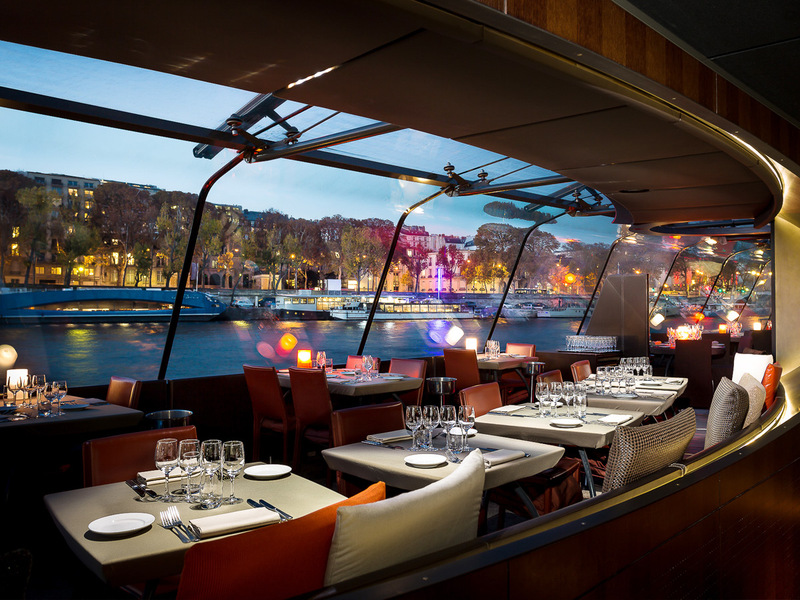 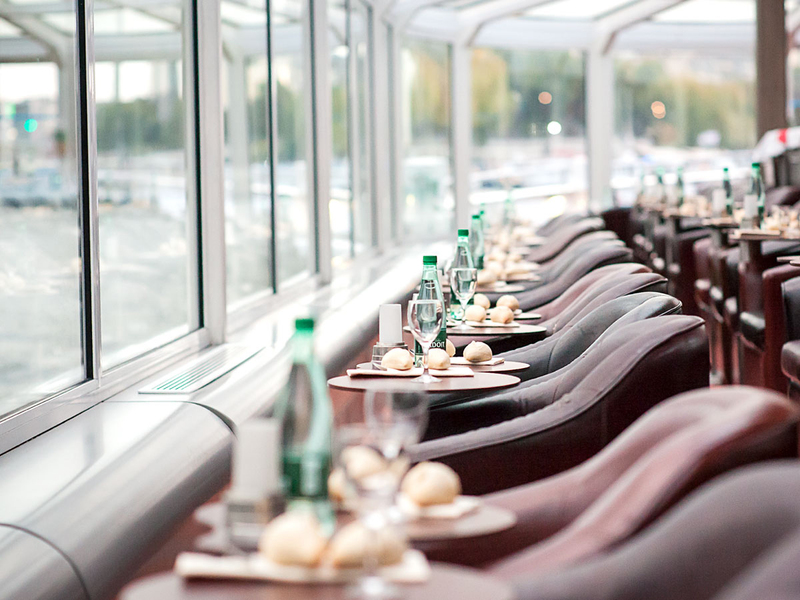 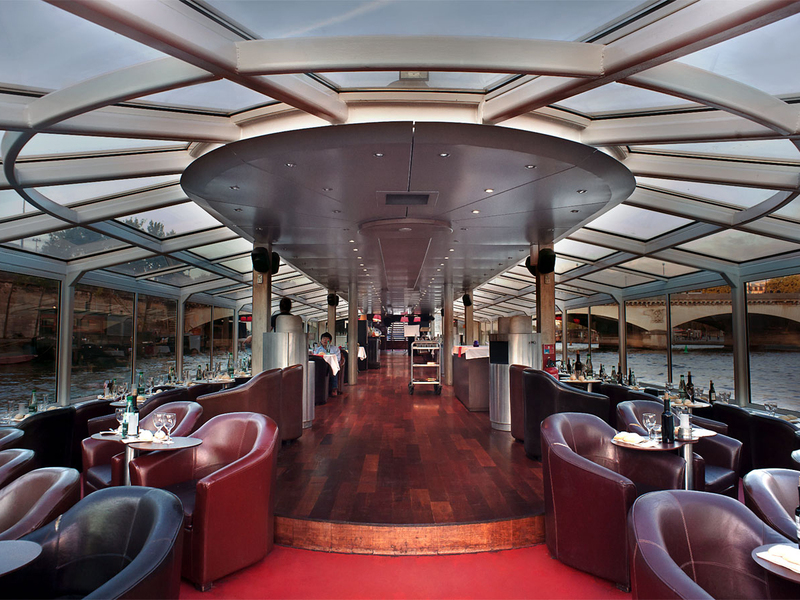 Enjoy a privileged location at the front of the boat with tables near the windows, 3 formulas of menu with a, unique in Paris, Seafood platter formula ! 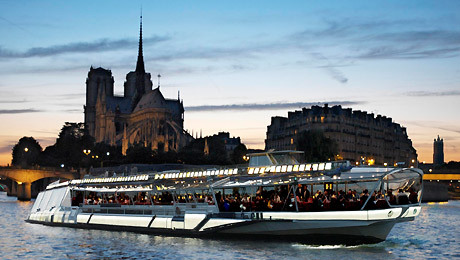 France Tourisme specialized in Lunch cruise, Dinner cruise and Boat trip in Paris. 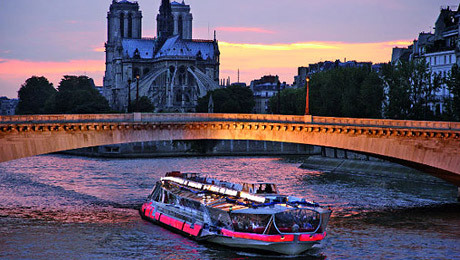 We have a selection of Thematic cruise and Mixed cruise as special offers. 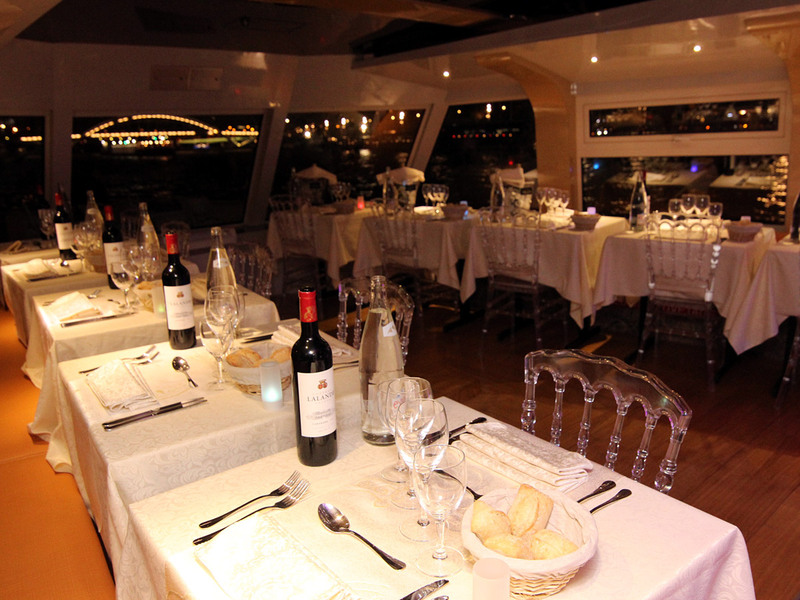 Finally we have Group offers and boat rent for your custom group cruise.